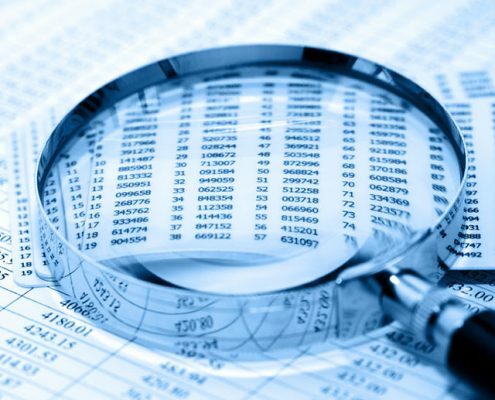 In recent years, this term has come to represent a myriad of services under the umbrella of “investigative accounting”. Essentially, forensic accounting is the application of incisive accounting techniques in the critical evaluation of financial records. The distinction between “auditing” and “forensic accounting” is simple, although increasingly narrowed. Auditing is performed with the ultimate objective of measuring compliance with certain accounting standards. By contrast, forensic accounting is performed with the ultimate objective of achieving financial transparency, of identifying accounting problems and solving them. Forensic accounting techniques can be used either independently or in conjunction with other financial analyses. In a divorce case, for example, forensic accounting could be used to distinguish between separate and community funds at the time of divorce. It could also be used in conjunction with a business valuation to substantiate that the financial information used in the appraisal had not been manipulated by the in- or business-owning spouse. In an economic damage case, on the other hand, forensic accounting could be used to evaluate the revenues and expenses that constitute lost profits. It could also be used in conjunction with a business valuation during instances when a business value is alleged to have been diminished or destroyed as a result of another party’s actions. The reconstruction of accounting records. The tracing of funds or assets. To assist with the due diligence process.